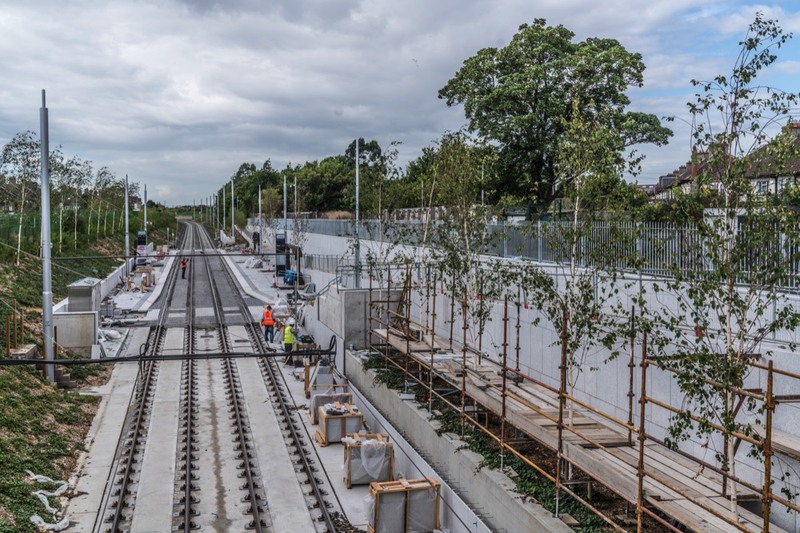 Currently the new Luas Tram stop is under construction. 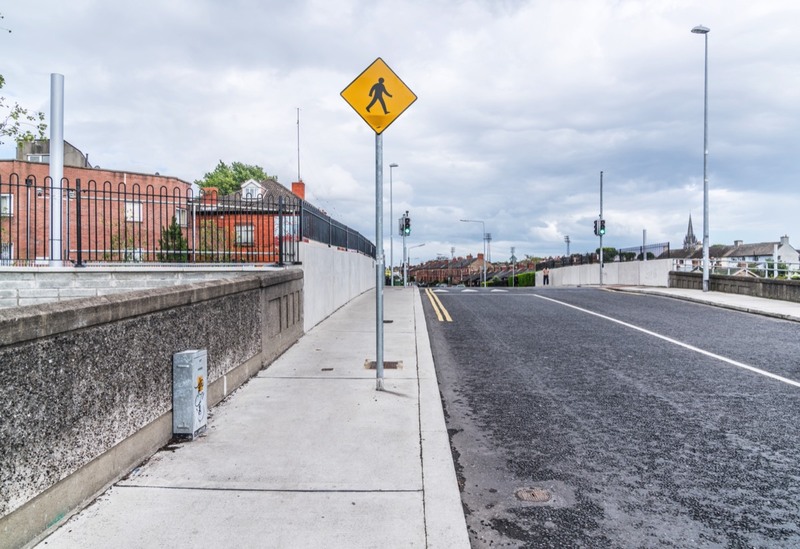 The Cabra Stop stop is located within the former Broadstone Railway Cutting, north of the Fassaugh Road overbridge [Liam Whelan Bridge] and has lateral platforms. Access to the stop will be provided from Fassaugh Road and via Mount Bernard Park serving the existing residential community. 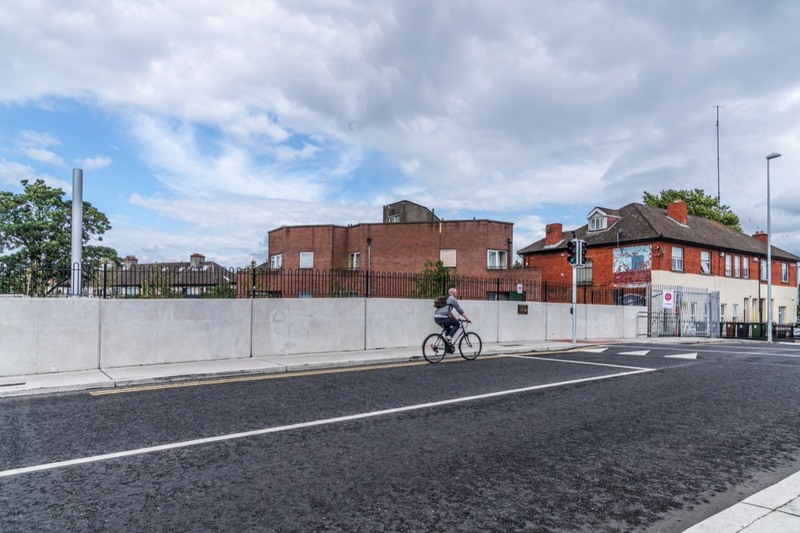 Irish Rail/SISK started works at Fassaugh Road Bridge [Liam Whelan Bridge] in October 2014. The works involved the installation of new foundations and the construction of support structures for the new bridge deck. The second phase of the works involved the building of the new bridge deck beside the existing one on a temporary platform. Once the new deck was ready the existing deck was removed and the new deck was moved into position. Following a 3 week road closure for the installation of the new bridge the road was re-opened to traffic on 26 July 2015. 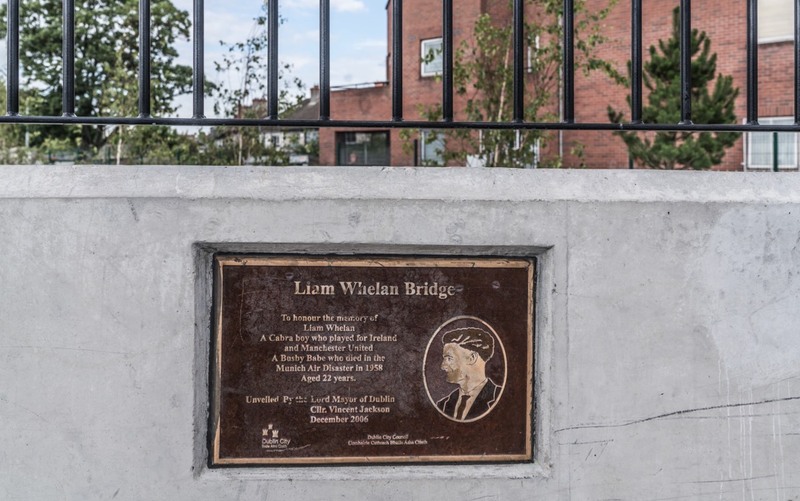 The Liam Whelan plaque was re-instated in August 2015. William Augustine Whelan, also known as Billy Whelan or Liam Whelan, was an Irish footballer and one of the eight Manchester United players who were killed in the Munich air disaster. He was 22 years old when he died. Whelan was born in Dublin.